While the University of Mary Washington is academically an o.k. school, the campus life/social scene is simply atrocious. Prior to attending Mary Washington, I read the negative reviews on this site and could not believe they were all accurate until I attended the school myself. I've never been a big partyier and figured I wouldn't mind attending a low-key school in that respect. Little did I know that Mary Washington is beyond low-key. It's dead. 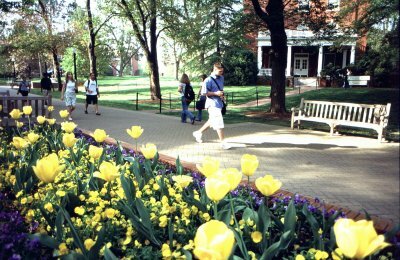 In addition to the fact that this is mainly a commuter school, the campus spirit is super lackadaisical (despite what the tour guides may sell you), and there is not much to do in Fredericksburg (unless you enjoy looking at antiques). It is accurate to say that there are various campus clubs students can join and there is even a fake frat as well. So you will make friends if you participate. However, like I said, this is a commuter school so there is not much going on during the weekends. It's clear that the school is trying to change this, but I have a feeling it will be years before anything significantly improves. I would highly recommend looking at other Virginia schools in the area with good academics and good social scenes before you choose to go here. Even if you decide to attend and make good grades at Mary Washington, transferring to another school can be a pain (mainly because other VA schools usually do not accept all of your credits, hence the transfer may prolong your college career).